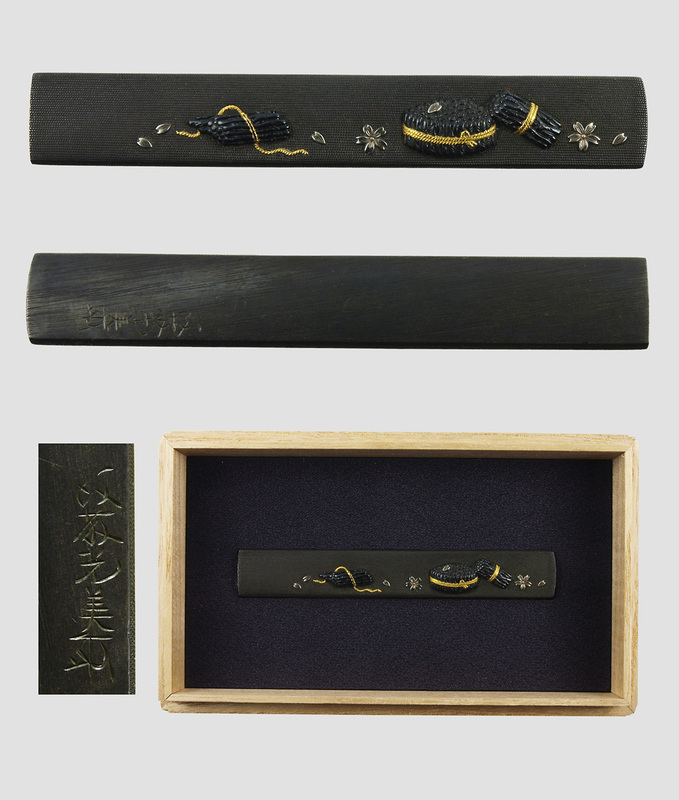 Special feature: On the Shakudo nanako plate, fagot are engraved. And rope are colored with gold iroe. And Sakura petals are colored with silver iroe. Contrast of fagot’s black and rope’s gold and petals’ silver is very beautiful, and elegant.